Is iPhone 4S Going to Make a Debut on Apple WWDC? There is news indicates that Apple British public relations team is contacting with the reporters, appealing them to join in Apple WWDC (Worldwide Developers Conference) in San Francisco next month. 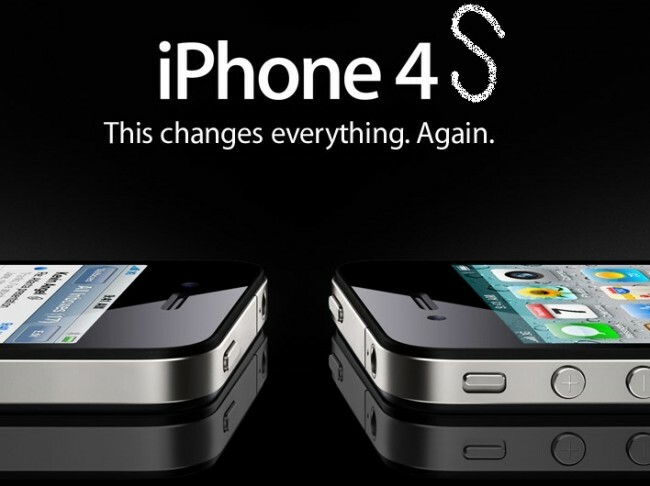 It is predicted that Apple will release iPhone 4S on WWDC this year. The previous news shows that the backside of iPhone is made of aluminum and becomes thinner and thinner. And there is a little improvement on iPhone 4S appearance, adopting better camera, A5 dual-core processor and supporting HSPA+ network. There is also news that Apple is controlling the quantity of the current generation iPhone which also means that Apple may make preparation for the next generation iPhone. Read more: How to convert video to iPhone? According to Medias, during the analysts teleconference this week, Apple CEO Tim Cook had said that LTE technology (also be remarked as 4G technology) chipset asked for concessions on mobile phone design, but Apple would not accept some of these concessions. 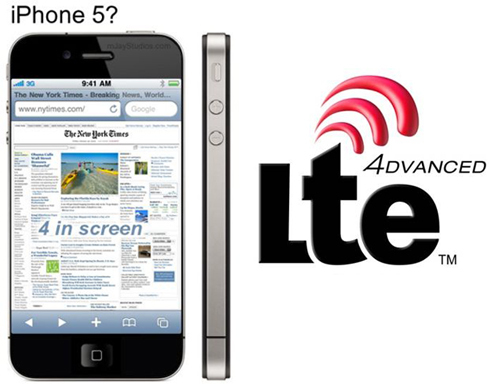 This means that the forthcoming iPhone 5 will not adopt LTE (Long Term Evolution) technology. Cook had ever indicated that the first-generation LTE technology chipset had forced mobile phone devices to make numerous concessions and some of them could not be accepted by us. Insiders point out that with the debut of iPhone 5 which will be released in September this Fall, it properly supports the current 3G technology. At the same time, it may also support AT&T as well as HSPA+ technology supported by part of operators all over the world. What does it mean to Verizon? Verizon CFO Fran Shammo had made a statement that the next generation Apple iPhone can be said as global which can support both CDMA and GSM. Currently, the CDMA version iPhone 4 and iPad 2 take advantage of Qualcomm MDM6600 that is released long time ago. Rumors from market suggest that iPhone 5 will be similar to iPhone 4 in appearance and is the same with iPad 2 in A5 dual-core processor. In addition, Apple will also consider making iPhone 5 support Verizon CDMA 1X audio and EV-DO data. Since iPhone 5 will not support LTE technology then what about iPhone 6? It is almost for sure that iPhone 6 is going to support LTE technology. Supposing that iPhone 6 will be released in 2012, what so Qualcomm have to do at present? Back to February, Qualcomm made a demo of its latest chipset MDM9615 to the public. MDM9615 will support LTE technology, DC-HSPA+, EV-DO Rev-B and TD-SCDMA. It may be used with A6 processor cooperatively. MDM9615 chipset is going to be revealed by Qualcomm at the end of this year which offers Apple with plenty of time for iPhone 6 testing and producing. If you are interested in iPhone solutions, you might as well go here to find out something useful, for example, convert video to iPhone for visual enjoyment on any iPhone versions. iPhone 5 Foresight: Adopt LTE, NFC and Natural Language Interface? With the release of the next generation iPhone steps approaching, predictions about iPhone 5 have been gone underway among Medias. It is reported that the improvements of iPhone 5 probably including: Natural Language Interface, LTE and NFC. What can be called Natural Language Interface is to carry out intelligent data processing consists of search, assistant and voice navigation through user natural language recognition. Supposing that iPhone 5 will employ natural language interface results from Apple’s two acquisitions. One is to purchase Siri—a company that develops virtual personal assistant, including voice recognition, natural language interface and semantic network search. The other is to purchase PlaceBase—a map development company which focuses on map enhancement by using private and public data. The two acquisitions plus Apple’s underway data centre make people suspect that the next action Apple is going to take will be natural language interface. As we all know that Verizon has launched LTE and AT&T is going to launch LTE network. The second assumption is that Apple is likely to follow their steps—employing HP upgraded LTE chip so as to achieve compatibility between iPhone 5 and AT&T, iPhone 5 and Verizon network. According to the statement of analyst Peter Misek, iPhone 5 is probably to adopt HP’s new chip with GPS and WiFi integrated, and the future Socket will support Bluetooth and NFC. More cloud services will be put into Apple’s next generation operating system. However, the completion of this work will be beyond the expected period and the release of iOS will be put off until this summer or autumn. It was reported from the American science and technology blogs Engadget and MacRumors that white iPhone 4 are found in inventory systems at Vodafone Germany and Best Buy. The system screenshots indicate that the scheduled in-stock date is fixed on Feb. 27, 2011. In June 2011, Apple made a public announcement that white iPhone 4 would be lunched at the end of June. During the following months, the Antennagate came unexpectedly and the “manufacturing problems” turned up to be the shield of the white iPhone 4 delay. 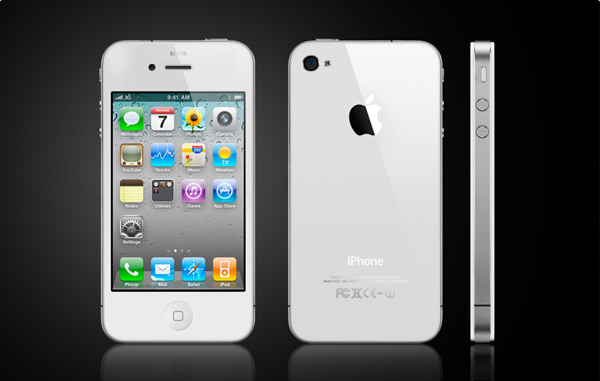 Although it is so difficult to get approach to white iPhone 4, the enthusiasm for white iPhone 4 soars. The world-wide popular iPhone 4 is deserved to be called the most successful product in Apple history. It has advantages in both software platform and hardware configuration. Equipped with 3.5-inch 960×460 HR IPS touch screen and 363 PPI retina display technology, it provides the users with preeminent visual effect, no matter in network browsing or video appreciating. Besides, 720p HD video can be played with iPhone 4. More and more people are inclined to enjoy videos downloaded from video sharing websites, take YouTube for an example, on iPhone 4 anytime anywhere. But the obstacle is that not all video formats are compatible with iPhone 4, you have to convert video to iPhone 4 compatible formats before you achieve video enjoyment on this marvelous iPhone 4. So an iPhone 4 video converter is in urgent need here and with which you can enjoy any videos on your iPhone 4. If white iPhone 4 hits stores as scheduled, just imagine that even seeing hot Hollywood movies on your white iPhone 4 turns out to be a piece of cake, what a wonderful and exciting experience! When will the white iPhone 4 be available? I do believe that it is the same question we focus on. The greatest meaning about the advent of iPhone 4 does not lie in its magnificent appearance but in the mobile phone evolution process from simple means of communication to intelligent terminal. To a certain extent, the white iPhone 4 release is no more than a pleasant addition to iPhone 4. Black or white, it is just a matter of color. Anyway, let’s just witness will white iPhone 4 be far behind if the day Feb. 27, 2011 comes. What you’d better to do now it to enjoy more on iPhone 4, whether it is black or white. iPhone VS. Andriod: Why Apple’s iPhone Will “Drown in a Sea of Androids”? Apple’s iPhone has established and maintained the dominant position in the smartphone market and it finally encounter with the toughest rival with the advent of Android phones. Recently, there released an article “Why Apple’s iPhone Will ‘Drown in a Sea of Android'” on the Internet. Fans from both sides engage in a fierce debate: which is better, iPhone or Android? Actually, it is a smokeless war between the peaks. Before they have been poured into App Store, all the iPhone apps need to be verified strictly. What’s more, App Store is the only channel for iPhone app marketing and installation, even the developers who want to involve in iPhone market have to purchase an account. On the contrary, abundant free apps can be run in Android system. Developers can carry out Android apps marketing without going through Android Market. From this point of view, by refusing to license the operating system—iOS, iPhone will drown in a sea of Androids. What feeds Apple is App Store. If Android occupies the mass market by adopting “open” and “free”, App Store will shrink to the niche market. Android is the core competitiveness for Google to achieve Network Empire by controlling internet terminal software. At this point, Androids do really have the potential to occupy the mass market. Since its debut, iPhone goes to the high-end market. Generally, Apple takes the high-end users’ need into account so it dares not to destroy the established high-end image. So Android is bound to gain a foothold amid the medium-end users and threaten the minority market. Seen in this light, Apple iPhone loses the protection of the medium-end users, an amount of people of strategic importance to the smartphone manufacturers, it will probably drown in a sea of Androids. Of course, the above goes to a part of netizen. As the argument goes, the iPhone is equally promising. Things are always with ongoing changes, high-tech products enjoy upgrading frequency. 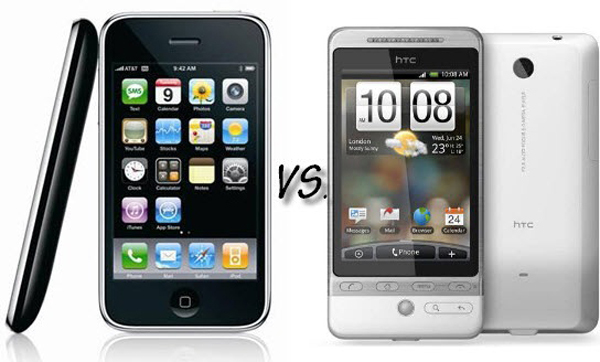 iPhone VS. Android, people actually do not care who will be the winner and who will be the loser. If it can satisfy your special need, it has nothing to do with the iPhone or Android. The one which can bring joy to you is the best one. Just like a smart Video Converter which can absolutely convert videos of various formats to your iPhone or Android phone for visual enjoyments. It becomes your best video converter definitely. With this all-inclusive Video Conversion tool, never mind to put yourself in the video world with iPhone or Android phone. When the two sides are involved in mutual argument on the internet, each with its own loss and gain, you’d better enjoy some hot movies from Hollywood or interesting videos from the internet on your iPhone or Android phone with this custom-tailored tool which can intelligently convert video. You don’t care about the result, you just care about the cheerfulness they give to you, don’t you? Comments Off on iPhone VS. Andriod: Why Apple’s iPhone Will “Drown in a Sea of Androids”?